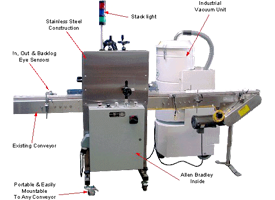 Cleaning Systems - Packaging Dynamics, Ltd.
Packaging Dynamics Ltd. supplies bottle and jar cleaning systems for a variety of applications. From small jars to medium sized bottle we have the cleaner you need. Please send a sample container for evaluation if interested. 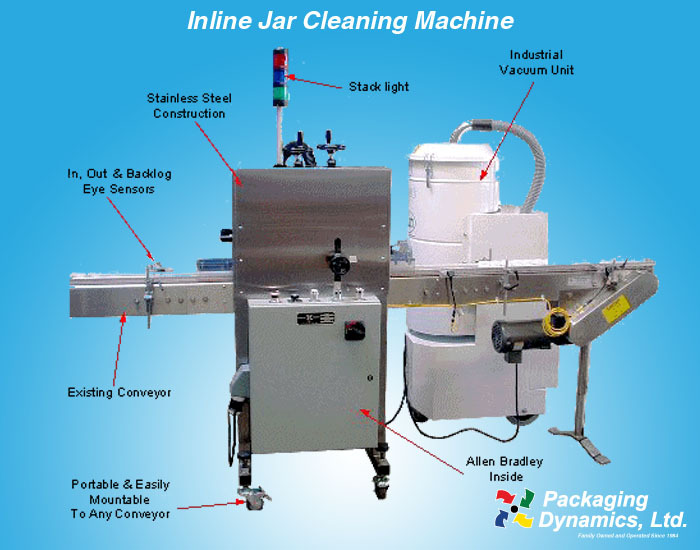 The Packaging Dynamics, Ltd. new In Line Jar Cleaner model JC-1000 is designed to clean jars using vacuum. 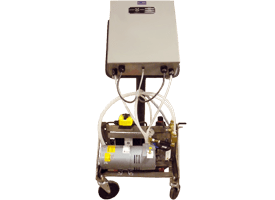 The model JC-1000 is easy to use and provides the versatility to clean a variety of different styles and container sizes. 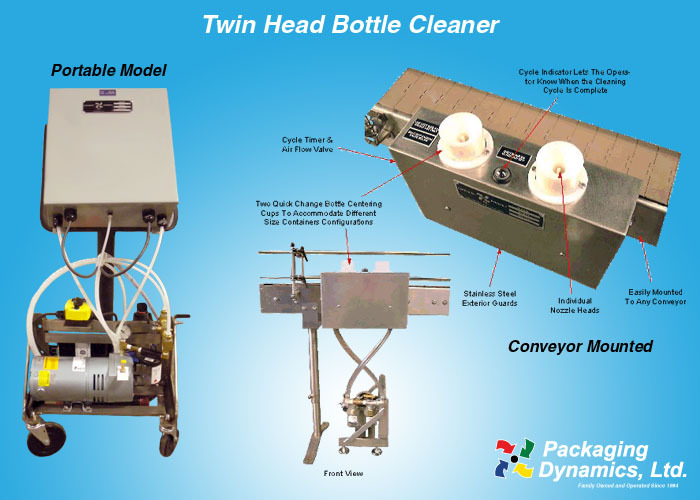 The Packaging Dynamics, Ltd. new Twin Bottle Cleaning System model AC-02 is designed to clean containers using compressed air and vacuum. The model AC-02 is easy to use and provides the versatility to clean a variety of different styles and containers sizes.